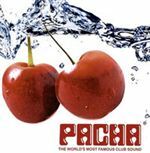 Pacha is a name that has become synonymous with Ibiza. Some of the best worldwide DJs, such as Pete Tong, regularly play at Pacha. It’s also one of the only clubs in Ibiza that is open all year round – so the party doesn’t have to stop when the tourists go home. With 15 bars, restaurants, shops and a terrace as well as the main music rooms there is certainly enough to keep you occupied all night. Pacha is a short walk or taxi ride from Ibiza Town.